A lot of people use social media for sharing content and attention seeking , no doubt it is really good in driving attention to the audience. But it is good for connecting; the original way it is known for and the actual way it was created for. 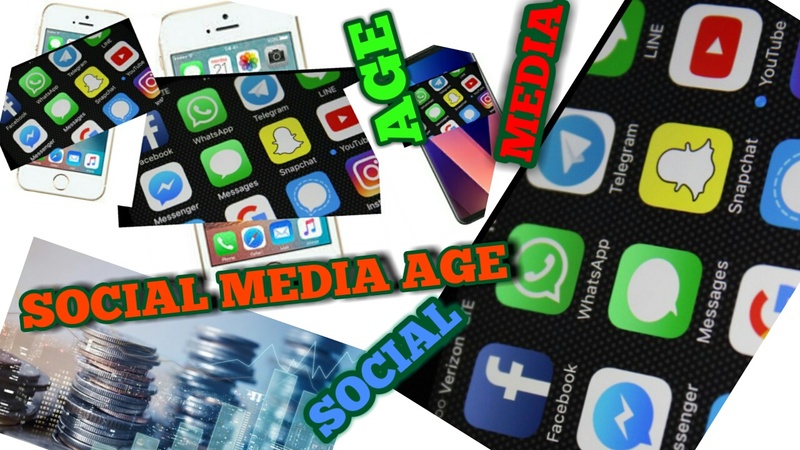 It's not that social media has been changed under our knows; we all have witnessed modernized to be finest connecting machine. Years and years have gone pass and all the social giants have improved to the unique features and we all have been part of witnessing. A lot of things can happen on social media; it's true a lot can happen. A of lot people are busy creating content. A lot of people use social media for a various reasons. A lot of people are success through social media and are ready to tell a story to sell their it could be by blogging or vlogging. A lot have their downfall on social media and also have story to tell. Back in the days social media was just basic very very basic but improved time to time.If you used social media back in the days when it was basic would you have thought today it would be place to post your content or a place where people would get fame. No one would of thought it wold be a place to compete among the others. Well it is competition thing on social media at some level as we almost want to produce high quality content most of the times. No one would of thought it would be a core marketing place for everyone. Well, posting pictures alone is trying to get noticed, technically selling yourself, it is!. No one would of thought it would be a new core for digital marketing, would they? Affiliate marketing, E-commerce etc. A lot can be archived and attract active users to keep on using social media. Features: competition is everywhere without competition we wouldn't be getting the best of the items on the market logically, because competitors always fight to save their products by modifying them to stand out from the crowd. The key features on social media are the ones that shape social media to be the way it is now. If it wasn't for that social media wouldn't be that tasty, I'm quite sure you agree with me right?. People wouldn't be pausing today; that means we wouldn't have all the models busy posting: it could be about them in the gym, wearing make up or any other thing you could think of. These features are making the age of social media because every person with ambitions to success is busy investing in creating content and guess what? It's not easy as it looks because everyone is using social media so the chances of getting noticed are slim however marketing skills and great content can easily put you on the map. Without interesting features social media would be a boring area, really and truly. They wouldn't be news feed, live broadcast, call both (sound) and (video) hash tags etc because social media offers all these it makes it reliable and user friendly; that's what customers are interested in. And remember these features are helping users to serve their pockets. We these unique features we are in the world where we don't have to pay a lot to communicate it could be within the same country or abroad and social media is doing it's job connecting friends and family for cheap. Companies are also connecting with others and the potential customers and any other audience, with all that we are leaving in moment of social media age, you might go ahead and deny but that's the honest truth. Just having a great number of followers: organic followers to be more specific is a key to monetize your social media platform as brands would be interested to work with you. Part time and full time income could be earned, no wonder why people are going crazy creating unique content to be able to draw attention of the potential audience. Because social media it's not only play area, but now other people are taking it as business; yes it is a great market place because we have active users through out and through out. Business pages, marketing and business accounts have made social media to be an opportunity for everyone and has replaced a lot of market places as it leads because of it's active users. Also that has made to be one the why age is not thing now to be be an user; anyone can use social media before it was an play area for kids but now it could be a play area for everyone and businesses can be created by everyone form scratch. A lot of business are now seeing migrating permanently on social media or some are just migrating for a chance to market their organisation whatever the reason this has also helped social media to be what it is now. Business accounts and pages have helped a lot of small and individuals to sprung up quick and these organisations and individuals are now in front of the audience telling them about their products or the experience and the marketing strategies. Social media is the business of connecting communities but also the foundation of digital marketing community. A lot of potential people have been discovered through the channels of social media because it does what it do the best connecting people, because it is a reliable source of connecting people! These are there to help each others with wide exposure and also helping each other in general, it could be bloggers, it could be engineers etc they are a lot of different communities and known to be found in groups. These communities have helped and transformed social media be a successful by being active users. The introduction of these shaped up social media to be what it is today. Because without some these social media would probably be popular but not as that big. Search on Google the marketing strategies of promoting any brand to see if social media doesn't come up as one of the top of the list. Social media is the new key to digital marketing and everyone is buzzing about using it to promote their product or service and this just give social media power to remain big. Companies and any other individuals love marketing on social media because they know that they get the results they are looking for, from the beginning social media was only for kids and now company are quite happy to use it; is one of the strongest marketing strategy, it again proves to us that we are in social media age. We all probably witnessed social media transforming to a fingertip so as mobile phones; the greatest idea ever been invented. Now that we have these phones improved: mobile phones helped the development of mobile apps; which was another great idea to be invented; so having smart phone packed with essential apps is like having world in your pocket. There's probably more phones on the planet than their's human out there some people might have more than one mobile phones. 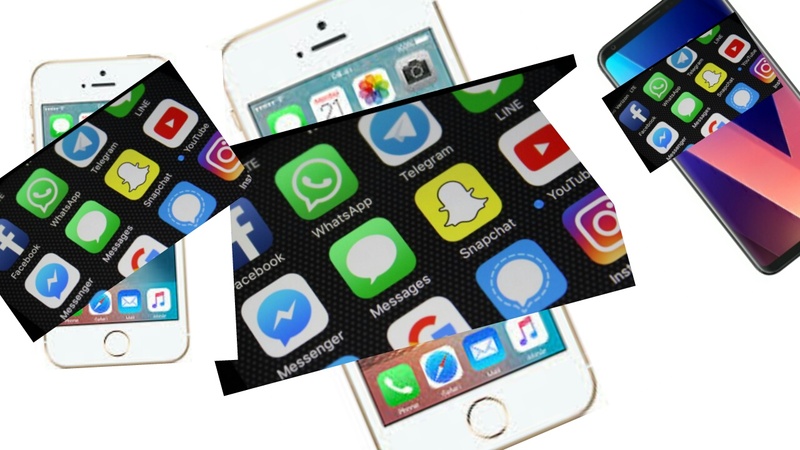 Smart phones have took part in transforming social media to be big; people download their favourite apps and save the hassle of going to the web page and some apps work different with the sites. People can easily look at their phone and dragged into social media if they have any notifications, and that would be them consuming some new content and with all these its truly time for social media, no deny about that. Started as kids play area but now it is the play area for everyone. People are seen navigating on social media so that they can get wired in the communities it's true social media is good at that , anywhere in the world you can easily get wired and still feel that you haven't missed much. People now roast each other in groups and some are creating fame by hosting live broadcasting literally people love it and find it relaxing, but its keeping people inside doors as you won't know much is going own in daily society and is affecting the life socialism and only promoting social media socialism. What else can I say? it's in its prime!. HAS SOCIAL MEDIA DISRUPTED PUBLIC RELATIONS? Well technology has taken over not that everyone doesn't know but we all have witnessed it, and most of us we love how technology has enhanced us with confident in communication changes and daily competition; posting on social media we are all selling ourselves; so everyone that uses social media has core marketing skills, just by looking at what someone is doing and go on and bit their record: yes it's competition, trying to get more likes and comments; yes it's part of social media challenges. Because of some reason above people might get easily disrupted in public relations, people could be shy to do some silly stuff because anyone can easily be recorded and posted on social media. With social media also everyone is core journalist as they can be able to record and write about anything fun and it will be rewarded with reaching viral because of these people are more delicate. Family find it hard to sit down as whole family because people are now so into their phones and some have to put their mobile away for a certain period for them to gather as family otherwise people can easily get disrupted to social media. CAN WE LEARN ON SOCIAL MEDIA? Social media can also be used as the learning tools, you can learn about what is happening in the community because of some these social media remains on top and giving everyone the buzz of thinking they can market and some experts are really earning a lot of money. We learn the use of new tools and how to use them effectively. We learn about family and friends if they progressed in their life; people like to post about their achievement and accomplishments, with that others get to learn and motivate themselves to their challenges. Social media is breaking communication barrier among the society; people are able to strike conversations in groups which helps other to learn new ideas and able to communicate. People learn about anything new in the community and able to share it. Sharing is also the biggest part of social media and makes more existing and valuable source of interactive. Share gives the opportunity to viral content and can be achieved from one social media channel to another channel because of these many channels people have variety of which one to choose that really works with their business or just as an individuals. But all that it comes down to learning and getting the hands on experience. If you learn and study social media; it could be 30 minutes a day or even 15 minutes, learning other tech stuff would be much easier because you would have the basic understanding of tech. Because social media gives the chances to people to shine and some are going all in with content trying to archive viral content and pretty much almost everyone want to do so, but it can't happen because the network is flooded only a few have to qualify for the opportunities and the rest could be the audience and this is giving people the chance of hatred of others content; which might result in picking on each other and might result in harming others image. Money is the route of all evil; fame on social media is also the route to success as you will easily get approached with brands and learn yourself to make some money with the fame you have built. Brands are attracted to any potential stars on social media because they know they bring business. 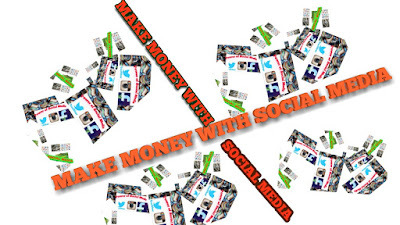 True its social media age, would you have thought that people would be making a full income just with social media? Well technology has globalized they way we earn money through social media and all other ways we play, really you don't need to go T.V station to gain fame, really do you? Archiving fame through social media is enough success to attract brands and more opportunities. A lot is undergoing taste to be able to offer influencers and publishers chances to earn best from social media as these people work hard day in day out trying to produce quality and they need to be rewarded with comfortable earnings. Social media has proved the power of breaking the barrier of communication where people spent a lot money connecting abroad but now social media covers all that as long you have the actual device and internet. Social media also covers a lot of distance for cheap, things like videos calls, audio and text not much have to be spent as having internet will cover it all. People are able to know what's happening in the society and are able to engage to any responsive content and all these help social media to maintain its dignity. GOING LIVE This key tool has not always been there but was introduced to us as a modification as the social media giants battled to maintain the number of metrics and truly worked, this feature helps with potential active users coming back to visit as they watch their idol having conversation with random people or just making a live broadcast to draw attention. More and more live videos are being created to able to engage the audience and is giving social media to maintain the quality of being worthy of respect. : has been around for time now, is the platform for sharing photos and videos but loved by brands because of its popular known to have the hot content in the social media community, massively loved by marketers because of its reach in marketing tools not every social media has the same marketing as Instagram. Influencers and celebrities love Instagram some of the reasons have already been illustrated. All these is is maintaining social media quality of being worthy of respect and in reward to that its number of active users increases every month and the business is growing. :the family of apps is one the most influential social media platform out there; it has more than 2 billion active users a day and is loved by marketers and influencers especially if they are marketing product that is used world wide because Facebook is used in each and every country now. The site has down well since its invent and has managed to put other social media under its belt and it being the biggest organisation out there attracting most of the ads and with that is maintaining social media being worth of respect. : apparently in America it's already claiming the second: one away from Facebook because of it's unique features different from all other social media and can be used to market other social media content. It has been out there for quite some time for some reason it is starting to be recognized as the powerful social media now and is earning quality of being worth of respect. : micro blogging giant has been out there for time even without much features developed the site is still micro blogging champion and undisputed and is the key factor when it comes to business as it will have all the trends loved by any other business person who genuinely what to promote their business. : is social news discussion and has been around for a while, you can promote your services using the content or the links available. It is one of the leading social media platform and has different groups to join to power yourself with promotion. Your content get votes up or down in this discussion social media. : is a micro-blogging social platform that gives you the opportunity to be more creative with your content and this platform can easily monetized with google adsense but a lot of people get scared of using adsense as they are sensitive to graphics and for you to be able to stand a really good chance on the platform your content need to contain reasonable amount of graphics. : video social media is highly used by anyone at the moment, you can record your video using other social network and still post on youtube; the platform widely famous and makes content viral, monetize through adsense is everyone to priority and there's other way of monetizing your content. : music platform where artist are able to upload their tacks and monetize with ads, this platform offers the opportunity to work with the artist of the same level, it's easy to get recognized on the platform with others as artist like to support but the only thing you can upload up to 10 tracks that are visible and others have to be paid to be visible. : is known as video social media. Is also known for making the selfies famous before people used to be shy to snap but Snapchat came in broke the barrier of shyness and everyone doesn't look weird taking selfies as it used to. 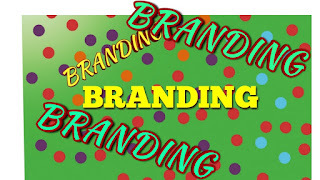 It came in with different texture of the platform and has since maintained social media quality of being worth respect. : business social media for employment and is widely used with those looking for new opportunities to engage with the with employers as this is a professional social media but also used to market strategy for Youtube videos as people can lick the link. A lot of videos are being posted on Linkedin is like people are trying faze out the television network, probably they are. Theirs is plenty more social media out there but these are some used widely out there and of course theirs some social media that are big and have big active users than some mentioned above but they might have biggest active users in one country or one continent which makes them not the world most recognized social media platforms. Because social media was created based on connecting and people, people need to know what is going on in the whole world and social media is good at this and that what its known for. Is social media trying to make the television out of the game really because the increase of live broadcast and people more watching these a lot and celebrities are using this tool a lot to engage with the audience, buying a magazine to catch up with celebrities wouldn't be first preference as Instagram offers some of the content whereas back in days every month you would spent some money on magazine because access to internet was not for everyone. This show us how social media has aged and what it has equipped us with in terms of quality and worth of being respect. Celebrities:they post as they compete to stay and maintain their reputation, some people go on social media just to look at what their celebrities have been up too and later mess around on the platform or quickly come of it. Celebrities have also played a major role to what social media is right now; as they like informing their audience about upcoming events.